Forget craft gin, it’s time to hop onboard the craft vodka train! Want to start exploring the great white spirit? 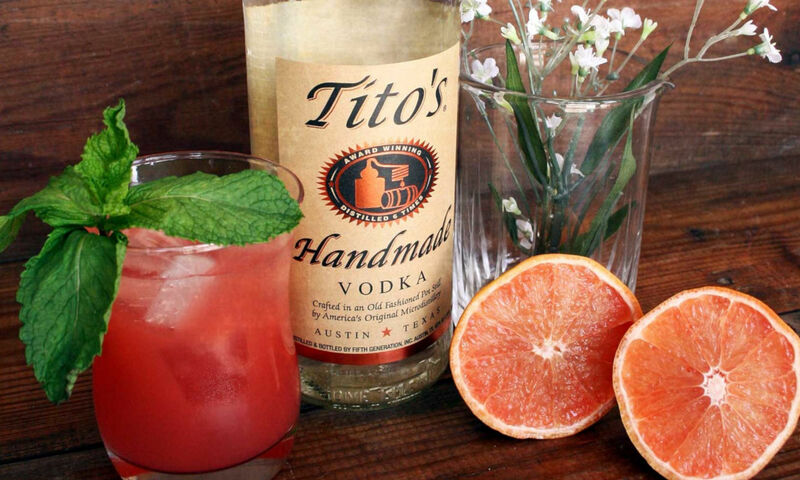 Why not get the party started with a new import from the USA, Tito’s Handmade Vodka? Produced at the oldest legal distillery in Austin, Texas, this delicious vodka is sure to get you hooked on great quality vodka. In the 1930s the creator of Tito’s Handmade Vodka, Bert “Tito” Beveridge, obtained a legal permit for the distillery after a long period of prohibition in the United States where the production and a sale of any kind of spirit or moonshine was banned. Today Tito’s is still formulated in small batches using old-fashioned copper pot stills in its distillation process. While this does make the distillation process far more expensive and time-consuming than traditional vodka production methods, the bold, smooth flavour of this vodka makes it all worth the effort. Every batch of Tito’s vodka is individually taste-tested to ensure it gets the brands seal of approval and stays true to the Tito’s taste. But that’s not all – Tito’s is also special in that it’s made with corn as a base instead of typical wheat. This means it not only has a distinctly smooth, sweet taste, but it’s also naturally gluten-free! Tito’s Handmade Vodka can be found at selected liquor stores around South Africa for approximately R280 per bottle. While you wait to try it, shop a wide range of premium vodkas and other spirits online via PriceCheck. Want more drinks elated reads? One of the world’s most loved Proseccos, Mionetto Prosecco, is now available in South Africa.